Hello my lovely readers! I can’t believe that in exactly a weeks time it’ll be Christmas Eve! What a lovely thought. I’m definitely feeling more festive now I have a break from uni, and I’m spending the next week preparing and baking before the big day. But what have I been up to this past week? As I mentioned above, I finished uni! My last week before Christmas was a very busy and stressful one, so I’m very glad to have a rest. I saw my lovely friend and co-blogger Pete on Saturday and I took him to my favourite bookshop for the first time. I took my other half Josh up to Manchester to see the Christmas market there! I love it more than our local market and it was lovely to show him the city. On a reading front, I have finally finally started The Infernal Devices! I’ve almost finished the first book and I’m loving it. 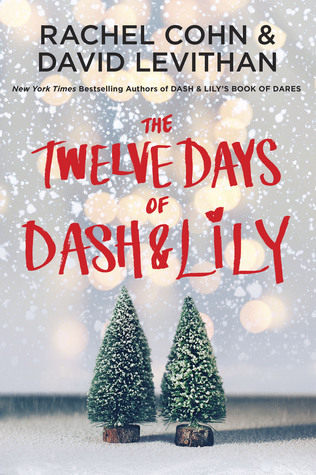 Now onto a very different kind of story with The Twelve Days of Dash and Lily! I read this book last Christmas and it definitely made me feel festive.